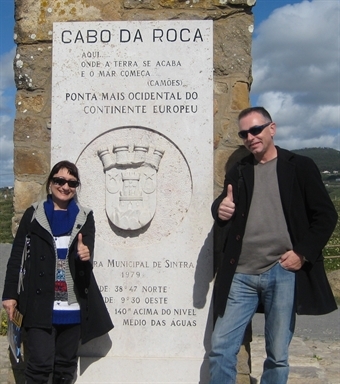 The ancient "Edge of the World"
The Romans assumed the world ends at the shores of the Atlantic Ocean. 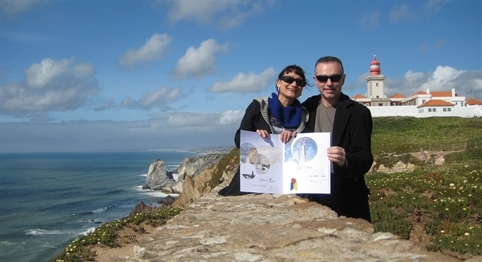 The most western point in Europe is "Cabo da Roca" Portugal. Nowadays, in a small post office located there, you can obtain a signed official document, stating that you have been at the edge of the world. From this high shore, you can have a most beautiful view of the Atlantic. 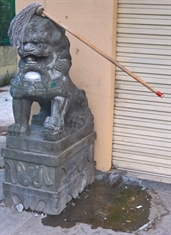 At the entrance of many buildings in China you will see a couple of Lions guarding them. Nadik & Edik have prepared an entertaining explanation about this ancient tradition, traces of which are to be found even in the western world. Many super high structures have been built in the past years. 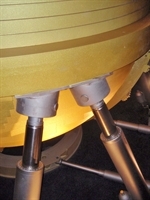 All have observatories on certain floors. 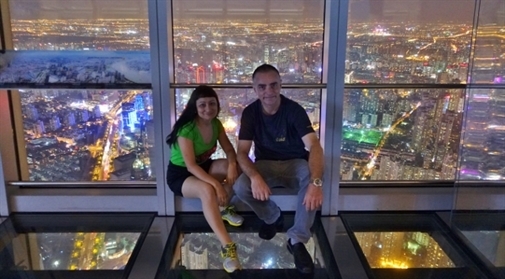 The highest is located in the World Financial Center In Shanghai. This observatory is located on the 100th floor at almost 500m elevation and besides an astonishing view, has a transparrent floor. Best is visiting from the late afternoon and to stay for a couple of hours. Then you will have a chance to observe Shanghai both at daylight and at the dark hours, when all the skyscrappers of the Mega-City playing their night-lights shows. 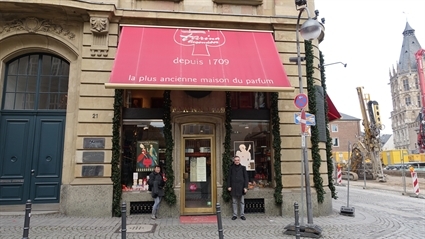 The original Eau de Cologne was launched in Cologne in 1709 by an Italian fragrancist Giovanni Maria Farina (1685–1766). Based on a secret family formula that since was never cracked. It consists of orange, grapefruit, lemon, bergamot, citron, lime, floral and herbal notes. 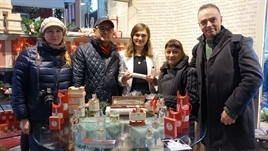 Farina, named his fragrance Eau de Cologne, in honour of his new hometown, also known as Koeln in Germany. Farina Eau de Cologne Originale is elegant and never obtrusive, a timeless perfume for both men and women. Only premium-quality essences are used for the composition of this unique fragrance. If you ever visit Koeln, Farina house is a must. You can have a guided tour in their museum and buy your beloved a timeless bottle of original excellence. 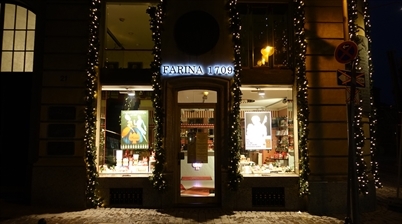 Except for Their main old building and a small shop near the Koelnishe Dom, Farina have no branches anywhere in the World. Still, you can order their fragrances directly on Amazon. 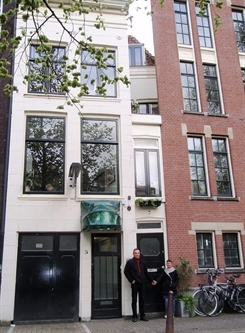 Along the Singel canal in Amsterdam Holland, you can find the narrowest house in the world. the small house on number 7 is only one metre wide. However, appearances are deceiving because this is the back façade. The front of the house is actually 7 metres wide. 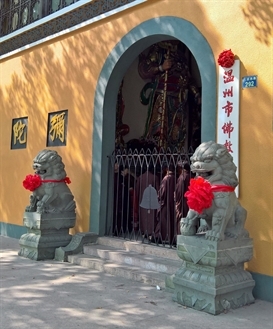 The reason for this intriguing construction is that in the 17th century, residents were taxed according to the width of the building that faced the canal. Taxes were high, so people tried to find creative ways to circumvent these. 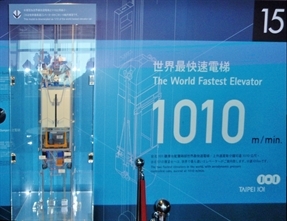 The Taipei 101 in Taiwan had the record of world's fastest elevator, being able to go 1,010 meters a minute (60 km/h) and can reach the roof from the ground level in just 30 seconds. Completed in 2006 at 509 meters tall, Taipei 101 it is the tallest building in Taiwan and was the tallest one in the world until 2010. It is currently the eighth tallest building in the world. Construction of the building was completed in 2004. Due to severe danger of typhoons, a very often guest in this geographical location, the Taipei 101 is equipped with a genious Engineering solution for this problem: A 660 ton and 5.5m in diameter tuned mass dumper (sort of damped pendulum) located between the 78-80th floors. 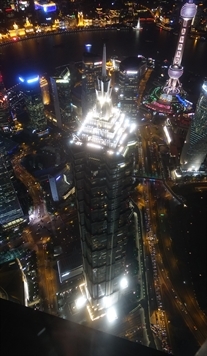 Shanghai Tower holds nowadays the record of the fastest elevator, which travels at 73.8 km/h , designed by Mitsubishi and installed on 7 July 2016. 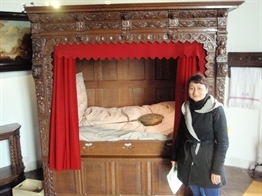 Surely many of you were wondering, during one of your tours to medieval europeand castles, to see very short beds. Around 1.2-1.5m... Way too short to for a grownup. 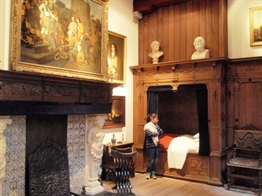 These beds were usually built in a wooden cupboard-like structure. The closed structure is understandable: to keep warm during the cold European winters and to provide minimal privacy, as there were no separate rooms for sleeping back then and you have shared your room with servants, guests etc. But the beds length seems too strange. Well, no way the people then were so short, this assumption is out of the question. Maybe for only small 1.52m women like Nadia the 1st, but certainly not for 1.80m Edward the 7th... Yes, in the past the people were shorter than us, but only by a few centimeters. The answer is simple: They were sleeping while sitting upright in their beds, cushioned their backs by pillows. Fairy Lake Botanical Park. Shenzhen, China. 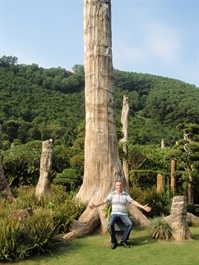 In the north-east part of this huge botanical park, stand the biggest collection of fossil trees in the world, constructed in 1997. 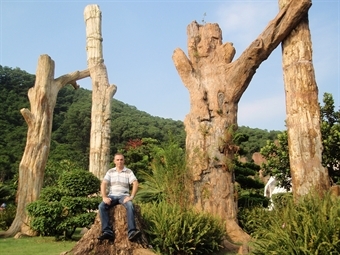 The trees trunks, most of them shipped there from all over the world look just the same as as regular ones, but if you look at them closer, you will reveal they are actually stones... 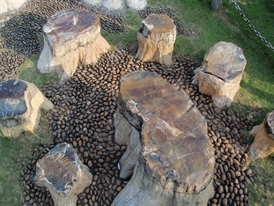 The fossil wood exhibition area, covering over 20,000 sq meters, has a collection of nearly 800 pieces of fossil wood. These collections are mainly from Xinjiang, Inner Mongolia, Liaoning, America, Indonesia, South Africa, and Madagascar.